Consumers often go to the medicine cabinet for Vitamin C supplements when they feel a cold coming on, and past studies have shown they have good reason to do so. Numerous scientific trials have shown a positive association between Vitamin C and reduced duration of cold symptoms, but a new study suggests that consumers should go even further when it comes to its intake. Researchers from the University of Helsinki have found that taking up to 8 grams of vitamin C early on in a cold cycle can shorten the sick period by nearly 20%. Past research on the association between Vitamin C and cold duration has been extensive, but Dr. Harri Hemilä explains that many of the studies relied on small doses to make their judgments, usually only 1 gram per day. However, he says that there is a statistically significant association between higher doses of the vitamin and sickness duration. For the purposes of their study, Hemilä and his colleagues conducted two randomized trials that analyzed the effect of Vitamin C dosage on the common cold. The first trial had participants from two groups take 3 grams of Vitamin C per day, one group take 6 grams per day, and one group take a placebo. The results showed that the duration of cold symptoms was reduced by 17% for the 6 grams/day group when compared to the placebo group, and it was also shown to be twice as effective as the 3 grams/day group. In the second trial, the researchers upped the group dosages to 4 grams/day and 8 grams/day and found that colds were shortened by 19% for the latter group; once again, this was shown to be twice as effective as the former group’s dosage. 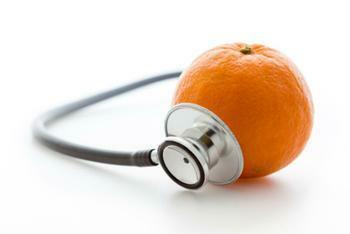 The researchers conclude that even higher doses of Vitamin C, up to 15 grams/day, could shorten cold duration further. They point out that their linear, consistent results could point to a cost-effective and safe way for consumers to recover from sickness, though future trials will need to be conducted to corroborate their findings. "Given the consistent effect of Vitamin C on the duration of colds, and its safety and low cost, it would be worthwhile for individual common cold patients to test whether therapeutic 8 g/day vitamin C is beneficial for them. Self-dosing of vitamin C must be started as soon as possible after the onset of common cold symptoms to be most effective,” Hemilä said.